The gentlemen was Reg Drury the former brewing director of Fuller Smith & Turner in Chiswich, London, who had retired from his post in 1999. 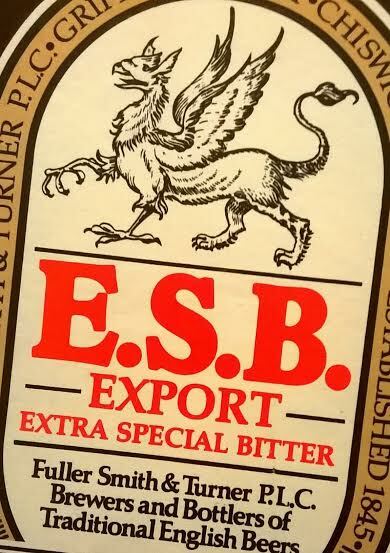 Reg was highly regarded in the industry and responsible for the creation of their iconic ESB ( Extra special Bitter) which became so highly influential in the US that it became a defined 'style' which many brewers emulate today. Over the years, within the brewery itself he oversaw many improvements such as the instillation of the modern brewhouse, and the move away from open square fermenters to producing cask conditioned ales in conical ones, a first in Britain. The creation of the 'Vintage Ale' range in 1997, a limited edition bottled annual release featuring new hop or mail varieties is accredited to Reg also. It is a brew that can be aged in bottle for many years. 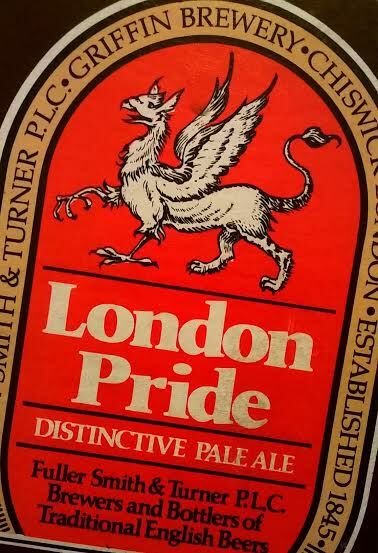 Having always been an admirer of the then London Pride bitter in bottle with its malt accented palate and roundness of flavour, way back in 1989 I thought I detected a change in flavour. Was this my palate or had indeed something altered? I decided to try and find out and sent a letter to Reg Drury and put the question to him. I was not hopeful of a reply as no doubt he may have been either to busy (or high powered) to feel it warranted one. But, to my delight, a week or so later a letter arrived in the post from Reg only to happy to answer my query! He said my observations were correct and that he blend had indeed been changed and explained the reasoning behind it. At this point in time, around the mid to late 1980's, the introduction of the 'widget' originally created by Guinness was creating quite a stir in the industry with a desire to try and replicate a 'draught feel' to canned beer. Guinness's widget contained nitrogen which gave the stout a smoother mouth feel over the traditional carbon dioxide carbonation. Other brewers feeling a trend developing begun to apply the same process to their canned bitters and ales by adding varying proportions of nitrogen (rarely a full blown widget) to again try and mimic a draught feel. Whilst this worked well with stouts it gave mixed results with bitters and ales, with a taste which, if anything, seemed unnatural and bland. Fullers were themselves however at this time at that same crossroads, and Reg explained that they had to change the recipe of London Pride, increasing the hop level as the original blend would have been to suppressed in flavour by the nitrogen addition. This of course did not just refer to the canned version, but cask conditioned, keg,and bottled London Pride...in fact the whole brand. The London Pride today tastes considerably different to the product back then, and I suspect different hop varieties are also used. In time as the fad for canned nitrogen bitters and ales begun to fade many brewers returned to their traditional method of carbonation, carbon dioxide. I shall always remember Reg found the time to reply to my question. We now live in a world of mass communication and social media, which for all its spontaneity can at times seem cold and impersonal. A personal letter shows the person took time to make a considered and thoughtful response, a form of communication we sadly see less and less of today.